The Laserworld CS-2000RGB NET comes with integrated Phoenix network card, a Phoenix Live Software license dongle and a 3m LAN cable. A turnkey solution to start your show immediately! 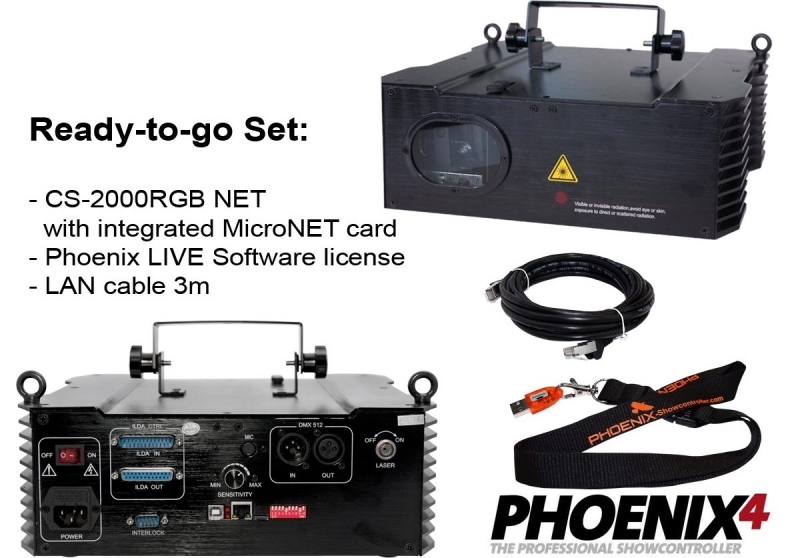 This bundle combines the advantages of the CS-2000RGB with these of the network interface MicroNet Slim: A total output power of up to 2,000mW, good beam specifications with a beam diameter of about 3mm and beam divergence of 2.0mrad and additional operation modes. 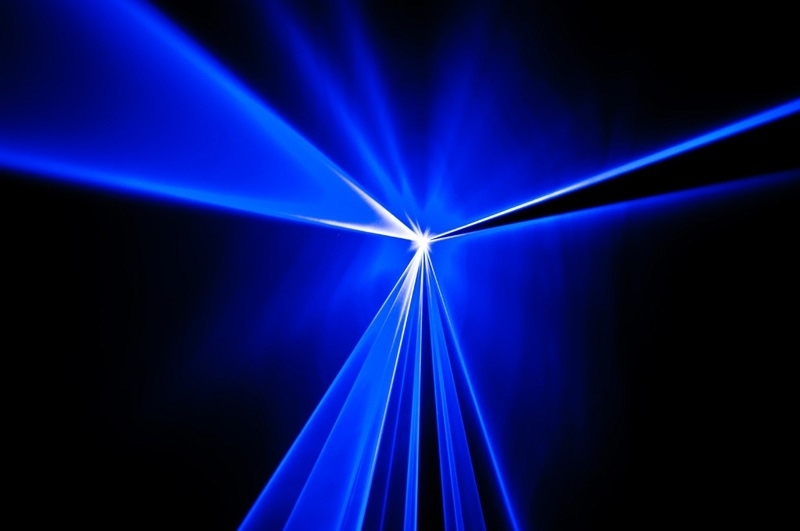 The devices allow a smooth and step-free display of color fadings and slow movements. 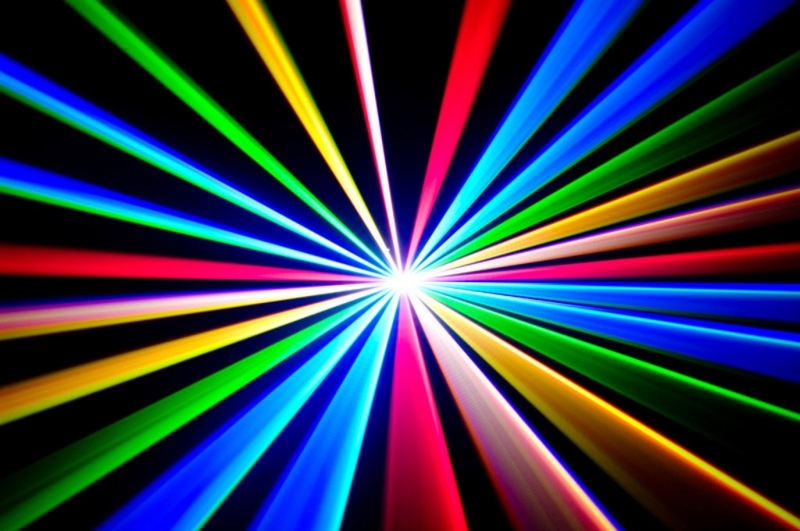 Brillant colors are ensured by red and royal-blue diode laser modules with wavelengths of 650nm and 445nm and the green DPSS laser module with a wavelength of 532nm. 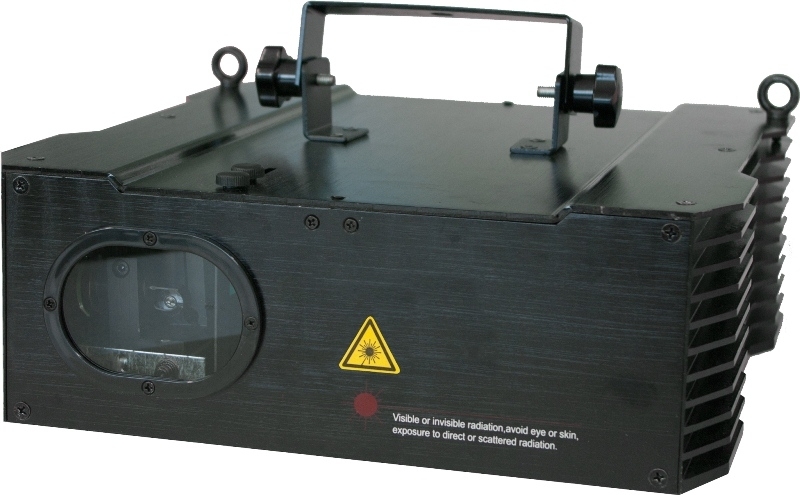 The galvo systems provide up to 30kpps scan speed. Like the CS-2000RGB these systems may be controlled via DMX (about 200 pre-set patterns) or ILDA or runs in music or stand-alone mode. For the music mode the sensitivity of the mircophone can easily be set on the rear side of the projector. Moreover the CS-2000RGB NET provides a Micro SD Card mode (SD card is integrated) and a Network mode. In the Network mode the IP address may be provided by a DHCP server (DHCP mode), is assigned automatically (AutoIP) or may be set via the DIP switches on the projector's rear side (fixed IP address). Several CS-2000RGB NET systems can be addressed from one control computer by simply using a standard network switch. For addressing the very projector, the respective IP address can easily be set with dip switches at the unit. 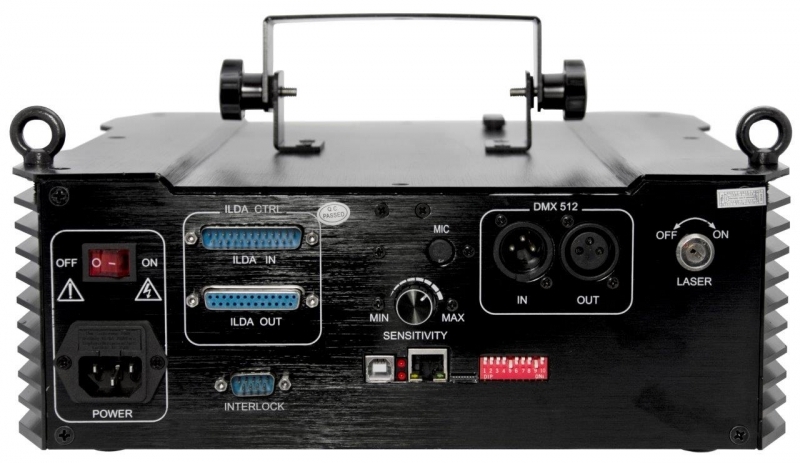 On the back of the projector there are also a key switch, an interlock interface and an on-off switch. The device is well suited for professional applications and it is often used in medium to larger sized clubs and discotheques as well as for the use in any party location.